Historically, the title, East Sea, was used by Koreans over 2000 years. From the 16th to mid 19th century, the name Sea of Korea and Sea of Chosun were more widely used than Sea of Japan. 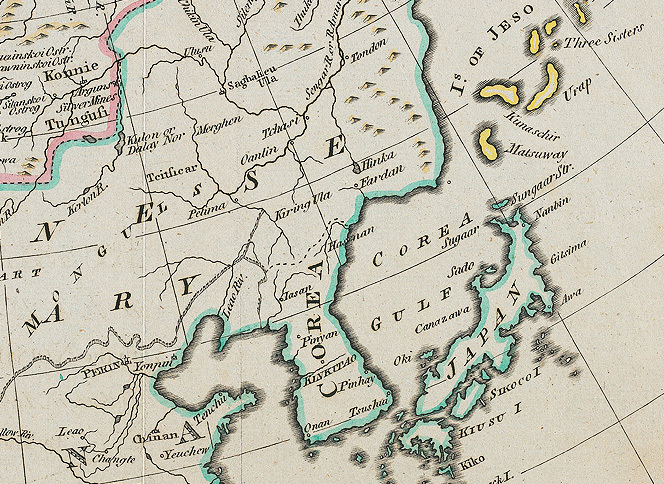 Map of Russia which was issued in 1780 by T. Bowen clearly specifies Korea as Corea and indicated the ocean located east of Korean territory as Corea Gulf (East Sea).